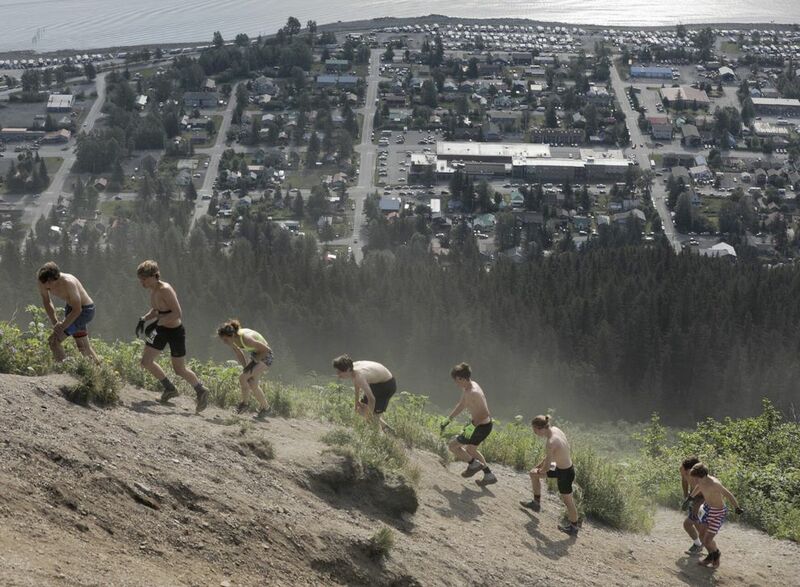 SEWARD — These kids are all right. Chugiak's Michael Connelly and Fairbanks' Kendall Kramer etched their names into the 34-degree face of Mount Marathon on Wednesday when each won the junior race at the iconic Alaskan event for the first time. "It's a dream," said Connelly, a 16-year-old who attends Chugiak High School. "I've always dreamed of this." Kramer's win was also the fulfillment of a dream the West Valley High 16-year-old has had since hearing tales of her dad Mike's back-to-back top-10 finishes in 2006 and 2007. "My dad's done it quite a few times, and I did the little kid's race when I was small," she said. Kramer said winning the race — which attracts tens of thousands of fans to the Resurrection Bay city each Fourth of July — made her feel like a true sourdough. 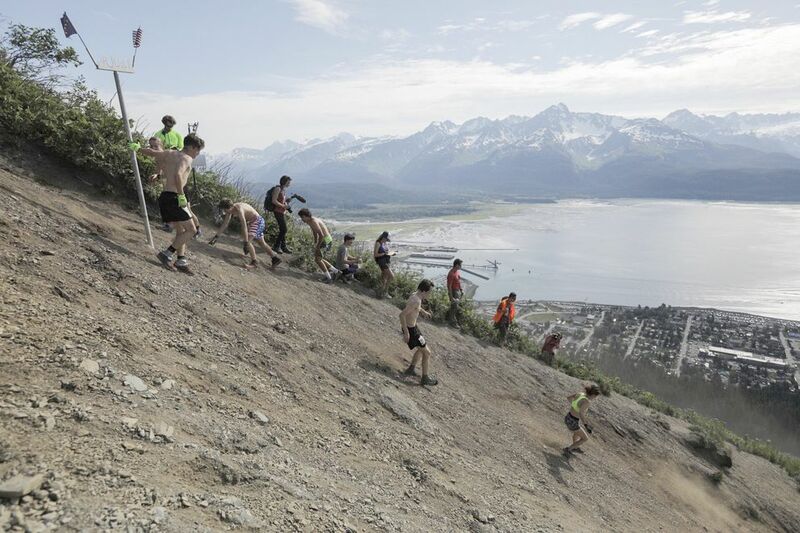 "Mount Marathon is the most Alaskan thing you can do," she said. Connelly and Kramer each reached the junior turnaround point about halfway up the 3,022-foot mountain in first place and cruised to victory. Connelly finished in 26 minutes, 56 seconds to best second-place Ali Papillon, 13, by nearly two minutes. Kramer ran a personal-best 34:05, finishing 26 seconds ahead of Anchorage's Aubrey LeClair. "Did I break that record?" he asked soon after reaching the finish chute. Unofficially, the answer is yes. Coming into Wednesday's race the 13-14 boys record was 28:48, set in 2010 by Michael Marshall. Palmer's Gavin Block finished third in the boys race in 29:01, while fellow Palmer resident Katey Houser of Palmer was third in the girls event in 35:13. Connelly and Kramer were among the favorites entering the race based on past performances and success this year. 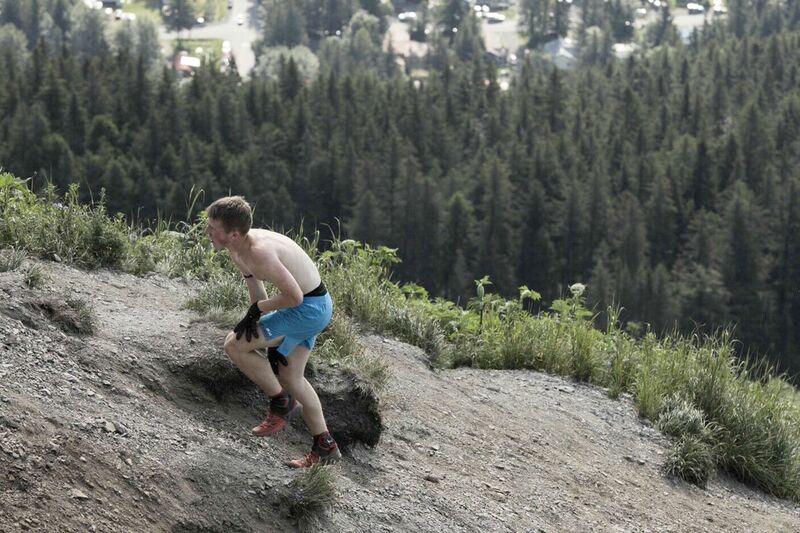 Connelly was sixth at Mount Marathon last year and finished fifth in the men's race earlier this summer at the Robert Spurr Memorial Hill Climb on Bird Ridge. Kramer was third in Seward last year, fifth in 2016, and also won the Midnight Sun Run 10-K women's title last month in Fairbanks. Neither winner approached the record times owned by Bill Spencer (24:30, 1973) and Allie Ostrander (28:54, 2014), but neither seemed all that interested in records as they cooled off with hose-baths in the finish chute beneath a rapidly strengthening Wednesday morning sun. Connelly has been training relentlessly this season and recently qualified to race for the United States at the Skyrunning World Junior Championships in Italy. Kramer said she's been doing sprints up bluffs and cliffs in her mountain-deprived hometown. "I'm honored to join the collection of people that have won this race, who are such amazing athletes and so tough," Kramer said, her body covered in dirt from the gritty trek up the hill. "So I'm just honored to be on their level." "It's the challenge, the pain," he said. "You've got to want it." For full race results, visit mmr.seward.com.